We are thrilled to announce that we are saving more cats’ lives than ever before! Thanks to support from PetSmart Charities, PAWS now operates a new medical isolation ward to house and care for cats and kittens who are recovering from ringworm, a treatable skin condition. Entirely separate from our normal feline medical housing, it is a specially outfitted mini-shelter located on the grounds of our Grays Ferry clinic. 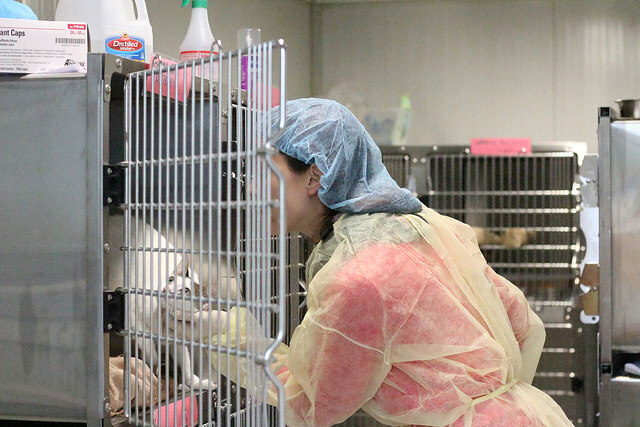 Since it opened in early 2018, more than 200 cats have already found safe haven here and received the medical treatment they needed to prepare for adoption. Although ringworm is a simple fungal infection of the skin, its lengthy treatment time, combined with how easily it can spread to humans and other pets, means that animals who test positive are at the highest risk for euthanasia when the city shelter becomes full. 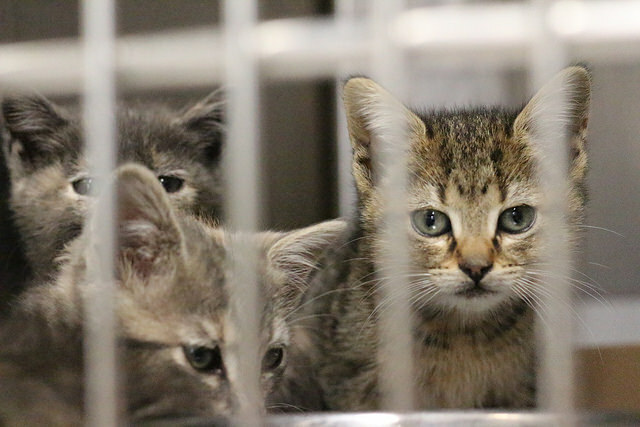 This expanded space enables us to rescue more sick animals than ever before, and has been critical during the summer months when homeless cats and kittens flood city shelters and the need for rescue is most urgent. Pictured above: these kitten siblings are just three of the animals who are safe and healthy today thanks to our new ringworm ward. After our veterinary team found telltale round lesions, they stayed for several weeks while we gave them skin treatments. Once they tested clear of ringworm, they all went on to find loving homes! 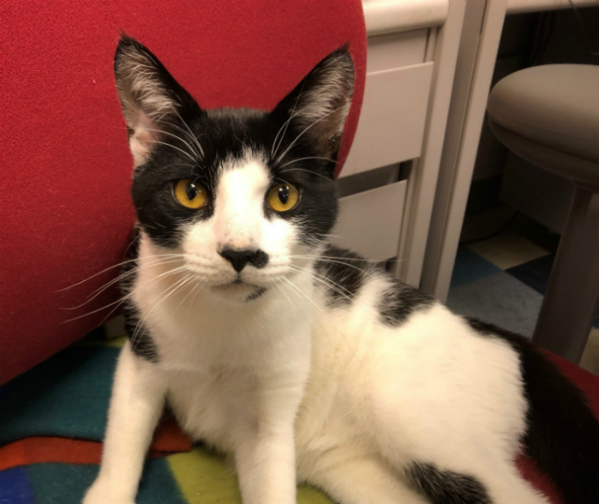 Not only does our new medical ward allow us to rescue and care for more ringworm cases than ever before, but it also opens up space elsewhere in our shelters for animals with other ailments would not have been able to save otherwise. The rooms we formerly used for ringworm cats are now housing cats and dogs with ailments like calici, panleukopenia, parvovirus, and more: cases which are treatable with enough time and resources, but are too often the most in danger at the city’s high-volume animal control facility.  Saving more animals with special medical needs is the key to bringing Philadelphia closer to becoming a no-kill city. Just one of these success stories is Dash, pictured below, who came to us with a broken pelvis. Thanks to newly available space freed up in our medical housing wards, we were able to place him on supervised cage rest for the full length of time needed to heal. He’s now back to his feisty self and is constantly on the move as our office cat while he waits for a home! Plus, the dogs benefit too! 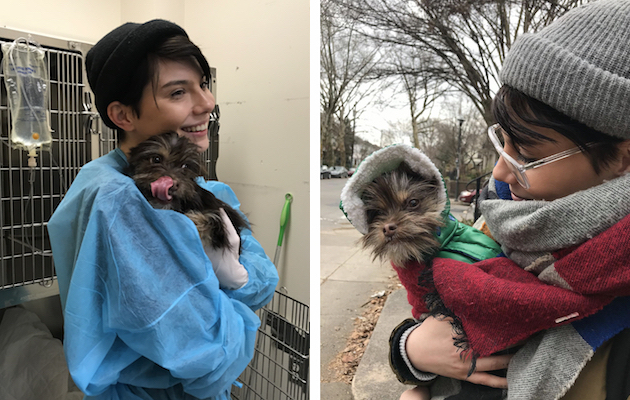 After Professor Oak the puppy arrived at the city shelter suffering from parvovirus, PAWS was able to rescue him knowing we had an open room to stay while he received treatment. Oak made a full recovery, then found a forever home with Ali, one of PAWS’ vet technicians who had cared for him! All these happy success stories are part of what is shaping up to be PAWS’ most successful year yet: thanks in large part to our expanded medical capacity, PAWS has rescued 2,853 homeless pets in the first nine months of 2018. We look forward to many more!